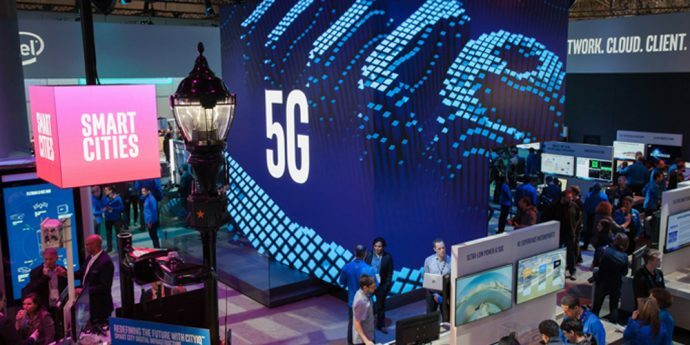 At Mobile World Congress 2019, Intel will demonstrate solutions powering the 5G future. Come experience compelling use cases highlighting the power of 5G across client, cloud, network and edge, enabling Intel customers to deliver new innovative capabilities and scalable and efficient business models. As the world moves beyond connecting billions of humans to connecting billions of “things,” Intel’s world-class data-centric technologies and solutions will drive 5G’s usefulness and presence everywhere. Join Intel in Barcelona at MWC 2019 to see the next frontier of computing and communications converge to deliver on the promise of 5G. What: Visit the Intel booth to experience how 5G will transform and improve our daily lives with demos spanning industrial, retail, and media and entertainment. See how delivering 5G’s expanded capacity in a manufacturing setting will enable safer, more flexible and more efficient production by applying machine-to-machine connectivity, transformed networks, computer vision, edge computing and AI capabilities to real-world applications. Learn how edge computing will enable new revenue-generating, immersive media experiences (virtual reality/augmented reality gaming) for consumers anywhere, without being tethered to a wired network. See how Hollywood is embracing the power of Intel processing and software and the visual cloud to bring its latest films to life. 5G’s gigabit speeds, transformed networks and edge computing augmented by new computer vision and AI technologies will give retailers new capabilities to efficiently enable retail deployments in virtually any location without the expense of a wired infrastructure. See the latest Intel partner ecosystem offerings in network, edge, vRAN and base station technology – enabled by Intel® Xeon® Scalable processors, Intel® FPGAs, Intel Atom® processors, and Intel connectivity products. Caroline Chan, Intel vice president in the Data Center Group and general manager of the 5G Infrastructure Division in the Network Platforms Group, is one of several experts from companies including China Mobile*, Deutsche Telekom* and HTC* who will discuss and share case studies and best practices across the cloud continuum. Specifically, how cloud-based technologies will deliver superior experiences in augmented reality, virtual reality, mixed reality and simulated reality as well as other variations, revolutionizing the consumption of content in both the consumer and the enterprise sectors. More: Visit Intel’s newsroom at newsroom.intel.com/2019-MWC and follow on social media at @IntelNews, @Intel and www.facebook.com/intel.